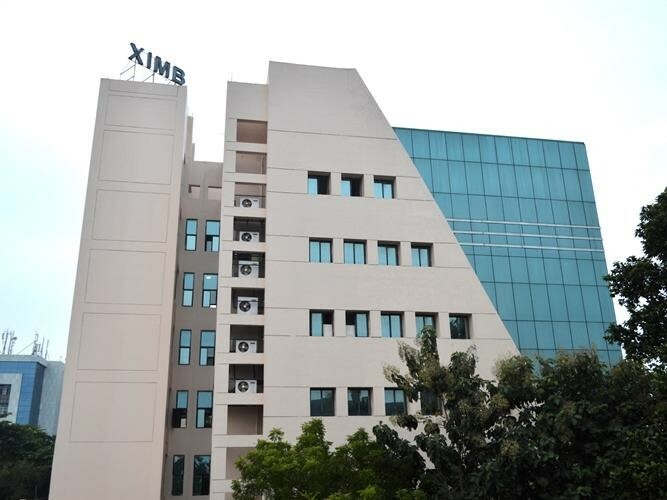 A vision was born on 3rd of December ,1987 out of a social contract between the Government of Odisha and the Jesuit Society to carry out the research and developmental activities for the state and it was carried forward with 31 years of rich legacy to make it one of the most prominent B-Schools not only in the eastern region but across India.XIMB has stood the test of time and owned up to the numerous challenges it faced while trying to establish itself with the locational setup. Residing in the heart of the quiet and calm temple city of Bhubaneswar ,it is where everything comes to life.With more than 750 students on campus,with buzzing ideas and plethora of activities all round the clock ,the campus adds pages to the legacy of XIMB.The ever helpful “bhainas” around the campus has made many lives hassle free.The unending talks at X-Café,the X-Walks ,the X-life is what makes my campus X-quisite and X-traOrdinary. XIMB sits at the lap of the nature.With lushful greenery around,the campus promotes the notion of conserving the nature .There is a peaceful existence of the co-habitants of the campus consisting right from the birds,squirrels and our very own “X-Cat” found loitering around the canteens waiting to be pampered. The monsoons at the XIMB makes the campus even more picturesque .The buildings are a perfect combination of the old and the new and tell tales of the journey it has been a part of.The residents of the hostel celebrate all the festivals together and all the midnight birthday celebrations are worth treasuring forever.The first year at campus has just begun for me and I am already excited about the coming 2 years that would familiarise me with the new found home and the family I am proud to be a part of.Each campus has its own charm and I believe what makes XIMB a unique experience is because of the amalgamation of all these unique add-ons .